Adm. Jerzy Tumaniszwili, very well known in the Polish community of Portland and Seattle, has died at age 93 in Florida. Adm. Tumaniszwili was a distinguished WWII veteran, decorated with Virtuti Militari, Polonia Restituta and other orders, and served on the Polish Navy ships (ORP) Burza, Krakowiak and Piorun. He was also entrepreneur who produced the first disposable needles. The Foundation, created as a fundraising arm for the Polish Home in Seattle in October 2000, has become the most important Polish public charity in our state, raising over $500,000 for many Polish causes, notably for the expansion of the Polish Home, and supporting all the Polish organization in the area. PHF is run by president Ryszard Kott, vice-president Krzysztof Poraj-Kuczewski, treasurer Marian Strutynski and secretary Malgosia Mazany. Mrs. Elzbieta Filipczuk, Messrs. Ron Golubiec, Krystian Koper, Andrew Okinczyc, Glen Lee and late Piotr Pawluskiewicz have served as the Board directors. Congratulations! At the recent biannual elections to the Uuniversity of Washington Polish Studies Endowment Committee Board, Ms. Krystyna Untersteiner has been elected chair, Mr. Allen Jaworski - vice-chair, and Ms. Heidi Beck - secretary. Ms. Shosh Westen remains UW PSEC treasurer. Congratulations! "Polish concentration / death camps" are again used improperly in American press when referring to WWII Nazi camps on Polish soil, instead of correct "Nazi / German concentration / death camps in occupied Poland". The issue needs again our attention and action. The Kosciuszko Foundation's president, Alex Storozynski wrote an article about it and started a serious campaign about the issue. Please sign the online petition at the Kosciuszko Foundation site today. Update Nov 30, 2010: Kudos to the Wall Street Journal editor who issued new guidelines for the WSJ, insisting that correct phrasing is used when writing about about WWII German concentration camps in Poland. No word from New York Times yet. The Polish Yacht Solanus is only days off Vancouver, BC. Solanus sailed from Gdansk, Poland on May 16, 2010 and came to Pacific after going through the Northwest Passage in the summer: south of Greenland, Baffin Bay, north Canadian coast and around Alaska. The yacht was expected in Vancouver on Oct 16, 2010 but is delayed due to technical problems. For info on Vancouver visit please contact Cpt. Jerzy Kuśmider, tel. 604-275-1095. The visiting Polish Fulbright Lecturer for 2010/2011 is Dr. Tomasz Łysak. Dr. Łysak is with the Dept. of Applied Linguistics at the Warsaw University. His research interests focus on cinematic and literary representations of the Holocaust in Poland, ethics and aesthetics of Holocaust commemoration, and Polish-Jewish relations. The Polish Fulbright Lecturer position is supported in part by the UW Polish Studies Endowment Committee. Polish Story Time Poczytajki becomes a weekly event for all the Polish kids around. During each meeting, Polish children books and stories are read to kids from kindergarten and early elementary grades. Typical fare: children poems, rhymes, songs and finger plays. Organized by Joanna Wroblewska with the help of the King County Public Libraries. More: Joanna Wroblewska, Poczytajki is a weekly event. Next meetings are on Oct 1, 8, 15 etc. 2010. Ms. Grazyna (Grace) Ostrom is a Boeing propulsion engineer who volunteers as a mentor and coach for the FIRST Robotics team at Newport High School in Bellevue. The FIRST program is supported generously by Boeing and gives students an opportunity to design and build their own engineering creations. The team won the most creative award at the regional competition in June, 2010. Kudos & congratulations! Seattle Polish Film Festival announced the winner of the poster competition for the upcoming 18th Annual Seattle Polish Film Festival. The winning entry has been submitted by Ms. Magdalena Hill of Seattle. Please visit Seattle PFF site for more info and to see other entries. Congratulations! The Polish Film Festival runs November 5-14 this year. Fr. Piotr Dzikowski, the very well known pastor of the Polish Parish in Tacoma, has become the new pastor at the historical St. Stanislaus Parish in Portland, OR. He has served as the pastor at SS. Peter & Paul in Tacoma for 15 years. Fr. Piotr was born in Poland and ordained in 1987. He is a member of the Society of Christ, a Polish order devoted to ministering to Polish speaking people all over the world. Fr. Eugeniusz Bolda, also with the Society of Christ, has taken over the Polish Parish in Tacoma. Fr. Eugeniusz comes to Tacoma from Phoenix, AZ, where he served as the pastor at the Our Lady of Czestochowa Parish for 10 years. We wish both Fr. Dzikowski and Fr. Bolda successes at the parishes so important for Polish-Americans in the Pacific Northwest. Mr. Paul Griffin has become the new principal of the Polish School in Seattle, taking over from Mrs. Anna Babcock who served as the principal for the last two years. Mr. Griffin has been very active at the Polish Home, notably as a long time Treasurer at the Polish Home Assn. and the Secretary of the Seattle-Gdynia Sister-City Assn. 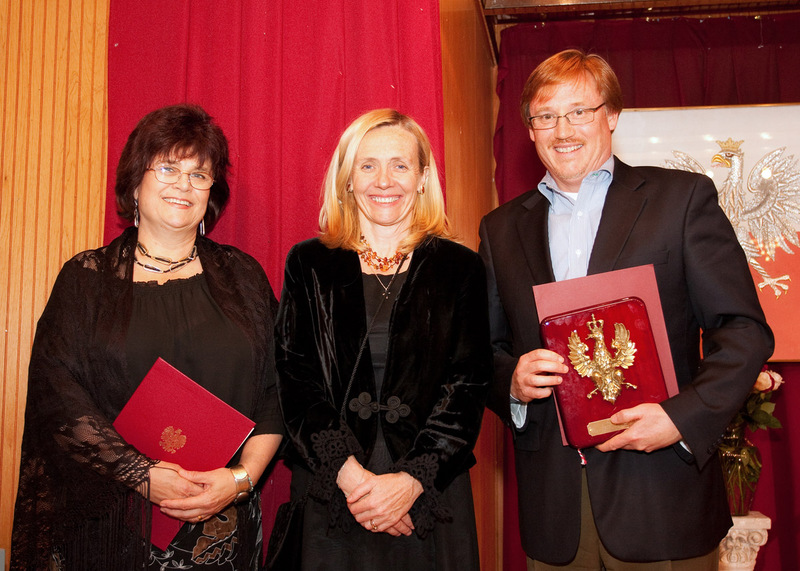 Last year he was honored with a Certificate of Recognition by the Polish Consul General. Congratulations! The Consulate General of Poland in Los Angeles has just received a special laptop and all the equipment needed for processing passport applications on the road. Seattle is the first stop in the new series of passport trips by the Polish consuls. The Consul is scheduled to visit Seattle on Aug 3 & 4, 2010. Assuming the equipment works as expected, passport applications will be processed at the Polish Home in Seattle 10 am - 6 pm on Aug 3 (Tue) and 9 am - 5 pm on Aug 4 (Wed). There will be the usual reservation system on both days. To make a reservation, please contact Mr. Marian Strutynski, (425) 746-3037. The application will be processed according to reservation list, with people without reservations served as the time allows. Dr. Janusz Dominik, a longtime member of the Polish community died in Seattle on July 10, 2010 at age 84. Mr. Dominik was born in Cracow, fought in the Warsaw Uprising of 1944, and gained his medical diploma in Galway, West Ireland, where he met his wife Mary. In Seattle he practiced as a family doctor and consultant. He was an longtime member of the Polish Home Association and a generous supporter of the Polish Home. 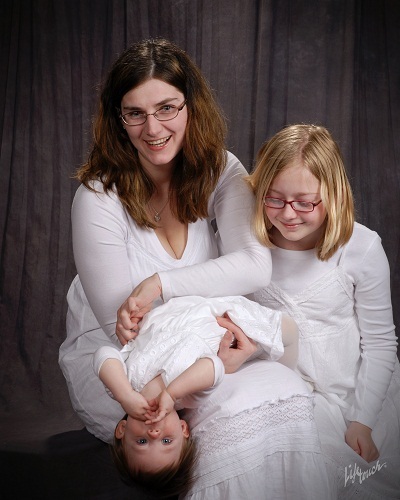 Also please see Dr. Dominik's obituary. Dr. Dominik is survived by his two sisters Jadviga of New York and Alicja of Poland, by other family of Poland including his grandniece Agatha and great grandniece Pola who were with him at his death, and his late wife's family in Ireland. Remembrances in lieu of flowers should be written to Polish Home Foundation, and sent to Polish Home Foundation, 1714 18th Ave, Seattle, WA 98122, marked in memory of Dr. Dominik. 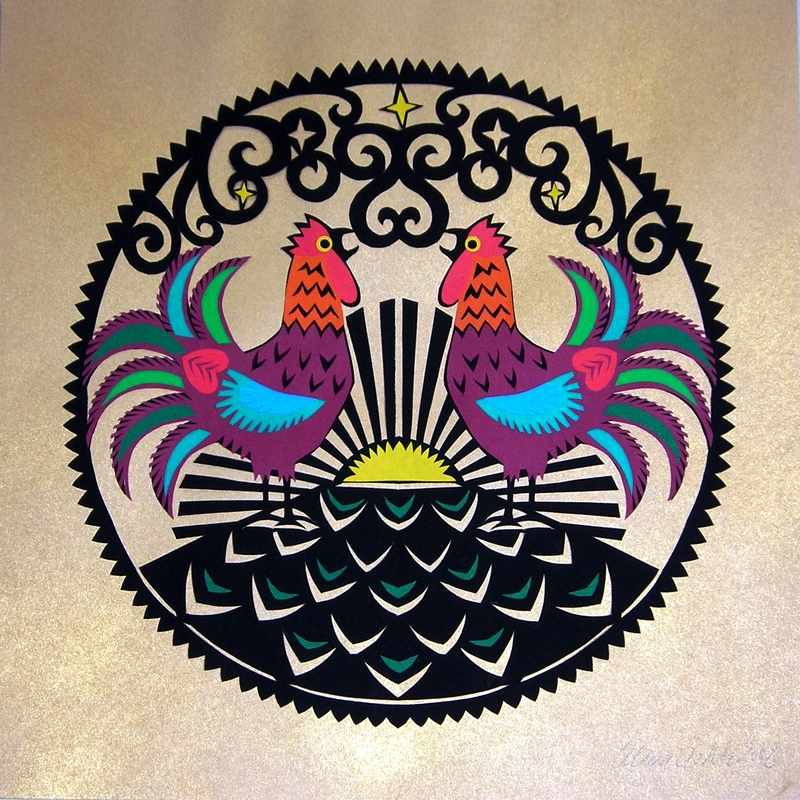 Alisa Lidzbarski Lahti is a Seattle-based artist creating paper-cut and wycinanki-influenced artwork; wycinanki being the Polish art of fine cutouts. Her work will be on display at a Paper Artist Exhibion at Westmoreland Museum of Modern Art in Greensburg, near Pittsburg, PA. Congratulations! For a local opportunity to admire Ms. Lahti's art, check out this event Best of Magnuson Park art fair. Several people in the local Polish community received an "urgent" mail recently, supposedly from a member of the community, asking for financial help due to being stranded abroad without money. Please note, this is a well known scam scheme and the person in question is all the time happily living in Issaquah. Hallmarks of the scam - person stranded at a hotel abroad, but no hotel name or phone number given. Update: Results for the Seattle polling station #177: Kaczynski 146, Komorowski 139, full results here. This is the second and final round of the early presidential elections in Poland after the tragic death of President Kaczynski. A polling station for Polish citizens is at the Polish Home; voting in the United States is set on July 3, 2010 from 6 am to 8 pm. To vote you have to be registered - people who have not registered before the first round can register till July 1, 2010. More info here. Locally in Seattle: Polish Home Assn. asks for donations for the flood victims in Poland. These funds will be sent to the Red Cross in Poland to help with the needs of those affected. Please send a check to: PHA, 1714 18th Ave Seattle, WA 98122, and mark "Red Cross or Flood" in the lower left corner. Nationally: Polish American Congress Charitable Foundation also asks for tax deductible donations for flood victims. 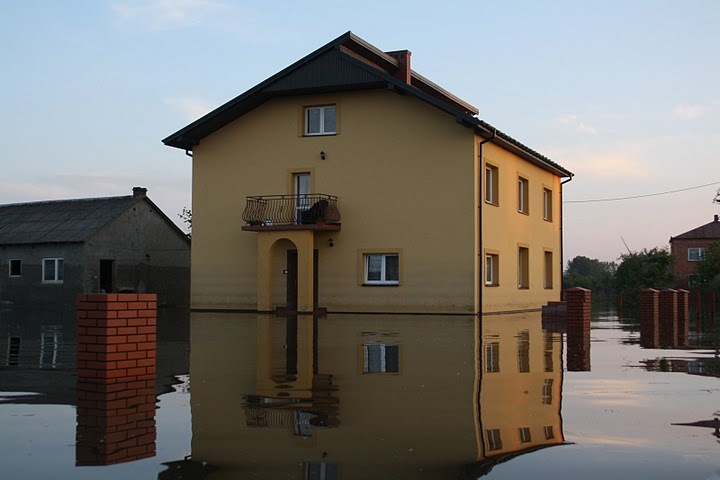 Please send checks to PACCF, 5711 N. Milwaukee Avenue, Chicago, IL 60646, marked "Flood Relief for Poland". Donations to PACCF are eligible for gift matching programs. Update: In addition to the Seattle award, Gdynia Business Week project won a national Sister City award -Sister Cities International is honoring Seattle-Gdynia Sister City Association with its 2009 Innovation: Youth & Innovation award for the Gdynia Business Week project. Volunteers still needed for 2010 Gdynia Business Week (Aug 23-27, 2010) - for more info contact Janice by email or call at 206-819-8653. 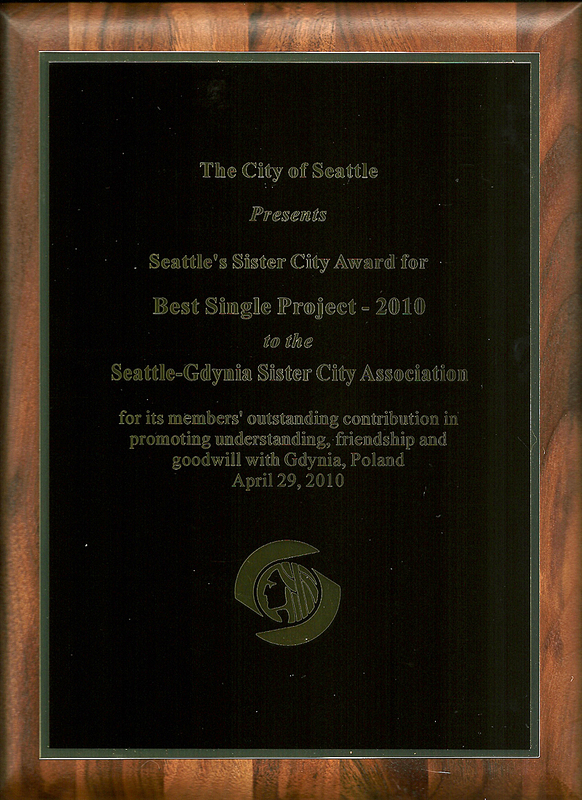 At the annual Sister City Reception at the Seattle City Hall hosted by Mayor Mike McGinn, Seattle-Gdynia Sister City Association was honored with the 2010 Best Single Project of the Year award for the Gdynia Business Week project. Gdynia Business Week was a summer business school for 100 Polish high school students in Gdynia organized by SGSCA & Washington Business Week with support from the City of Gdynia in August 2009. Congratulations to project coordinator Janice Jaworski and the whole SGSCA organization whose many members volunteered their energy, time, money and vacations for the Gdynia Business Week. At a recent celebration, the Polish Scout Troop Kaszuby honored Scoutmaster Martha Golubiec who retired after 24 years of leading the Troop that she founded in 1986. Scoutmaster Anna Borodenko has become the new leader of the Polish Scouting organization in Seattle. Congratulations! Update: Results for the Seattle polling station #177: Kaczynski 132, Komorowski 121, full results here. The second & final round of voting is on July 3, 2010. The early presidential elections in Poland after the tragic death of President Kaczynski have been called for June 20, 2010. Polish citizens can vote in Seattle at the Polish Home; voting will be on June 19, 2010. If you want to vote, you have to register - please read detailed info here (in Polish). Registration deadline is June 17. 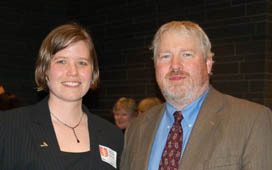 UW Polish Studies Endowment Committee announced that the $1500 Student Scholarship for 2010 was awarded to Mr. Corey Krzan. Mr. Krzan is a third year undergraduate student who is double-majoring in French and Eastern European Languages. He is active in the Polish Student Association at the University of Washington and he is also going to Poland for a one year program at the Polish Culture and Language School at the Jagiellonian University in Cracow, Poland. Congratulations! The recent lecture about Seattle-area Siberian exiles and screening of the movie A Trip To Nowhere at the University of Washington brought news about other efforts to document the WWII deportations. Below, some links related to a documentary movie The Lost Requiem by the internationally renown Iranian director Khosrow Sinai. Mr. Sinai shot the movie in 1970s after attending a funeral at the Polish cemetery in Tehran. A video interview with director Sinai and a separate press interview about making the movie (many historical photographs from Iran), and . In 2008, President of Poland, Mr. Kaczynski decorated Mr. Sinai and survivors living in Iran: an article in Wprost, official gov note. Mr. Sinai with Mr. Wajda in 2008. Considering the tragic death of Polish President Lech Kaczynski and other Polish statesmen and women and also considering a successful relationship & friendship of the City with a sister city of Gdynia, Poland, the City Council of Seattle made a proclamation expressing on behalf of the people of Seattle a sincere sympathy and heartfelt condolences to the people of Poland and to the sister City of Gdynia. The Polish community of Seattle joins Poles and friends of Poland everywhere in mourning the tragic loss of President Lech Kaczynski, First Lady Maria Kaczynska and members of the Polish elite who died in the plane crash in Russia on the way to a Katyn commemoration. Our thanks go to all who extended their sympathy and remembered them in their prayers. The Book of Condolences is available for signing at the Polish Home in Seattle for the next two weeks on Friday evenings from 6 pm and Sunday afternoons from 1 to 4 pm. Books of Condolences are also available at the Polish Consulate in Los Angeles and in Vancouver, BC. The Mourning Mass will be held at the Polish Church in Seattle at 11 am on April 17, 2010. Below an update from local events mourning the tragedy. KING 5 news video with the news and clips from St. Margaret's including Fr. Stanislaw Michalek and Aldona Bazant. Seattle Times short report from the Katyn commemoration in Seattle on April 11. Mr. Andrzej Falinski, a longtime member of the Polish community died suddenly in Seattle on March 24, 2010. Mr. Falinski was born in Kielpin, in northern Poland, in 1946. He arrived in the US 1985, settling in Seattle in 1989 and working as a precision machinist. He was an active member of the Polish Home Association and served as the Polish Home Manager for five years. Mr. Falinski is survived by his daughter Gosia Busse with husband Eric and their sons Elliott and Ethan, daughter Magdalena Braun with her daughter Zoe, niece Bozena Commerree and friend Halina Cielslik with her three daughters and three grandchildren, all of the Seattle area, as well as sisters Krystyna and Zofia with their families in Poland. Polish American Congress and the Piast Institute launched a national campaign to reinstate Polish ancestry option on the census form. The current census does not ask about white ancestry, but you can still mark Polish ancestry as an add on. PAC & Piast ask everybody to do just that - mark the Polish ancestry on the form - in order to get the ancestry question reinstated. More: Please read about the national campaign & how to mark Polish ancestry on the census form. It's official: On Feb 19, 2010, the International Union of Pure and Applied Chemistry (IUPAC) declared that a new element with atomic number 112 will be called Copernicium in honor of Nicolaus Copernicus. Copernicium was discovered in 1996 by a team of scientists led by Prof. Sigurd Hofmann from Darmstadt, Germany. Local Polonia welcomes Mrs. Ewa Orlowska, a new Seattle correspondent to Nowy Dziennik. Thanks to her efforts, this biggest Polish language daily newspaper in the United States printed recently two local stories about our community. The story about Malgorzata Walewska describes efforts of the UW Polish Studies Endowment Committee to support Polish studies at the University of Washington, while an earlier story introduces Polish Book Club in Seattle. The Editor is a longtime reader of the Nowy Dziennik weekend edition and its cultural section – it’s worth subscribing to. At the Polish Home Association election meeting on January 30, 2010, Mr. John Golubiec has been reelected as the PHA President and Mr. Adam Strutynski as the Senior Vice-President. Congratulations! Debra Markert re-elected President of the Seattle-Gdynia Sister City Assoc. At the Seattle-Gdynia Sister City Association election meeting in January 2010, Ms. Debra Markert has been re-elected as the SGSCA President, Mr. Tom Clark and Ms. Janice Jaworski as Vice-Presidents, and Ms. Harriett Wodzin as the Treasurer. Congratulations!